Baby proofing our boat is something that, no doubt, we will continue to do as Cid grows and gains more skills in maneuverability, along with his strong inquisitive nature and thirst for adventure! At the moment he is not quite walking unaided, though his determination to do so has him letting go of whatever is assisting him to balance and take those brief, wobbly steps… so it won’t be long before we will never be able to sit down again! 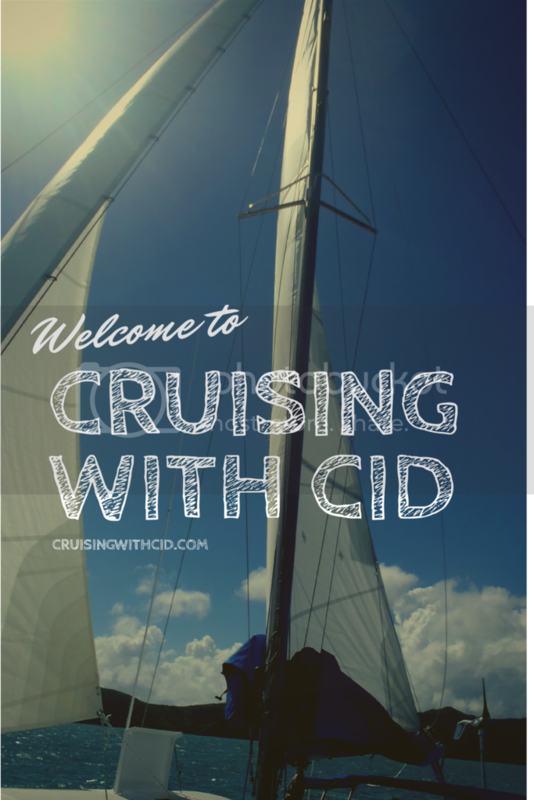 We have had to move some things around on the boat as we talked about here so that they are out of Cid’s reach. 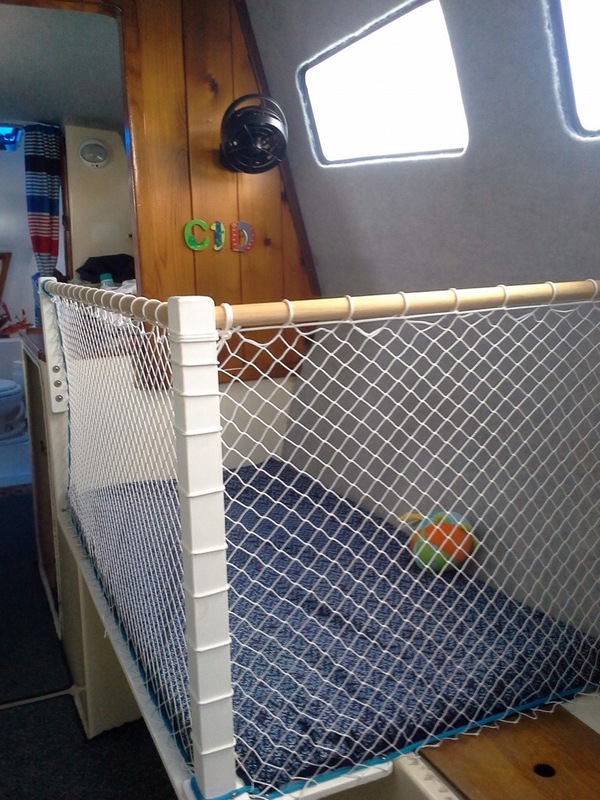 Damon has built Cid a cot and retrofitted this to the single bunk in the starboard side near our aft bunk. 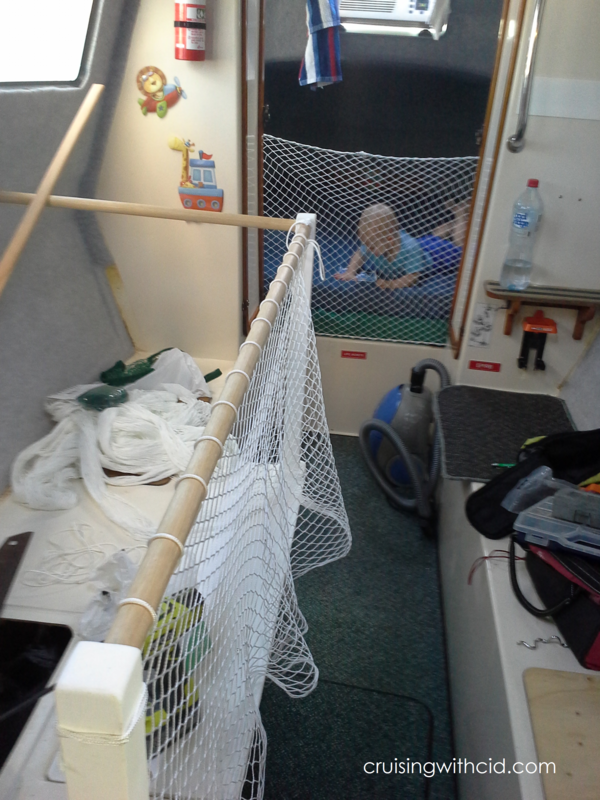 We have added a net to our bunk so that Cid can play in here as well while we are under way. Life line netting has been put up; and extra rope has been weaved through the gaps where the tramps are attached. It would be impossible for Cid to fall through, however; this gives extra support to ensure he does not get his feet or legs caught while he is toddling past. 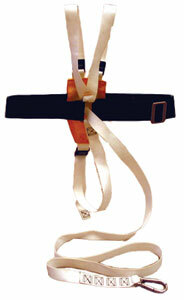 We use an infant/child safety harness made by Burke Marine for while we are underway when Cid is up on deck. We use a Fisher Price portable high chair which was a hand-me-down from Cid’s big cousins and does the job nicely. This also makes for a sturdy seat for Cid while we are underway. Sun Safety wise... Cid wears light cotton long sleeve shirts and long pants, with a hat (if we can keep it on!) and he also has these cool baby sunnies… though trying to keep them on again, is a mission! 50+ Kids Sunscreen from the Cancer Council comes in this handy roll on and is easy to apply to a wiggly worm who wants to be where the action is! Obviously, Cid has an infant life jacket; and he has both a windproof and rain coat for those less than ordinary days. 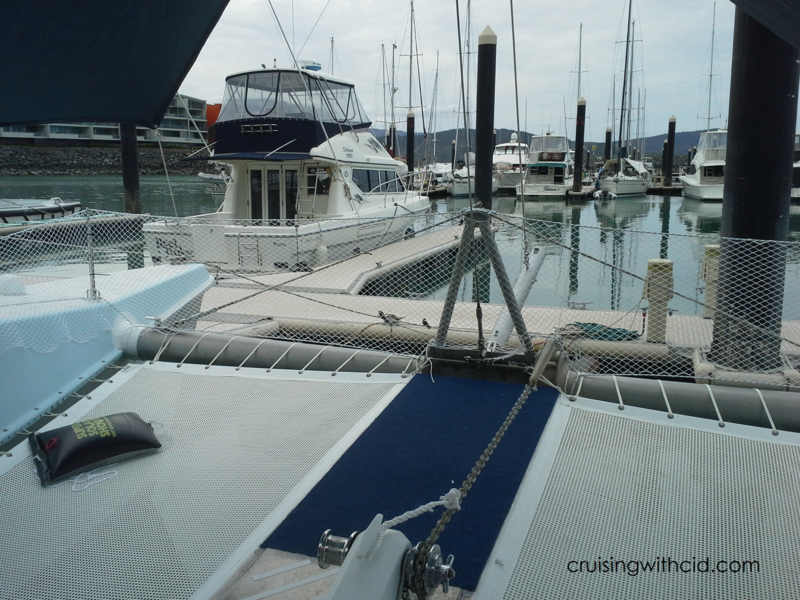 Again, baby proofing our boat is a journey, and we will learn along the way of what works and what doesn’t. While Cid continues to grow and learn about the things he can do, the most important thing to us is that he is safe and comfortable. We will assess this on a day to day basis and adjust to his needs accordingly as he grows and develops into the little adventurer he is becoming.